ACM SIGGRAPH recognizes Anthony D. DeRose with the 1999 Computer Graphics Achievement Award for his seminal work in making subdivision surfaces a practical geometric modeling technique. Although there are many hopefuls waiting in the wings, there are only two widely accepted geometric primitives in computer graphics-polygons and parametric patches. DeRose’s work, and the wide range of activity that it has sparked, will surely add another primitive to the geometric modeler’s pantheon-subdivision surfaces. Tony’s work spans a wide range of topics in geometric modeling starting with a characterization of Geometric Continuity in terms of differential geometry. A series of papers set up the basic framework and mathematical foundation for transforming clouds of scanned 3D points into useful geometric objects, and for the connection between subdivision and multi-resolution wavelet techniques. He has published on many other phases of geometric design. Tony has been a versatile collaborator, both with his students-many of whom have gone on to establish major research reputations-as well as with colleagues. Aside from work on geometric design, he’s collaborated on global illumination using wavelets, VLSI CAD systems, image based rendering, user interface mechanisms, discontinuity meshing, parallel computing, and ray tracing. Perhaps the most fascinating and under appreciated work has been his creation of an elegant and powerful system for programming geometric systems in a coordinate-free manner. Holding an undergraduate degree in Physics from the University of California, Davis, and a Ph.D. from the University of California, Berkeley under Brian Barsky, Tony’s graphics work quickly helped to put the University of Washington on the map in the decade he spent there. Tony is currently a Senior Scientist at Pixar Animation Studios where he was a major contributor to “Geri’s Game,” winner of the 1997 Academy award for a short animated film. Tony has consistently demonstrated a style concentrating on important fun-damental groundwork rather than on flashy but shallow results. His creativity, his wide collaboration, and his impressive list of students marks Tony as a major contributor to our field in a quiet, but yet outstanding way. 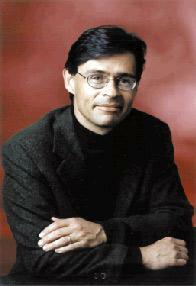 Consequently SIGGRAPH is pleased to award Tony DeRose the 1999 Computer Graphics Achievement Award. T. DeRose, and B. Barsky, Geometric Continuity, Shape Parameters, and Geometric Constructions for Catmull-Rom Splines, ACM Transactions on Graphics, Vol. 7, No. 1, January 1988, pp. 1-41. C. Loop and T. DeRose, A Multisided Generalization of Bezier Surfaces, ACM Transactions on Graphics, Vol. 8, No. 3, July 1989, pp. 204-234. T. DeRose, A Coordinate-Free Approach to Geometric Programming, pp. 291-305 in Theory and Practice of Geometric Modeling, edited by W. Strasser and H.-P. Seidel, Springer-Verlag, Berlin, 1989. C. Loop and T. DeRose, Generalized B-spline Surfaces of Arbitrary Topology, Proceedings of SIGGRAPH 90, pp. 347-356. H. Hoppe, T. DeRose, T. Duchamp, J. McDonald, and W. Stuetzle, Surface Reconstruction from Unorganized Points, Proceedings of SIGGRAPH 92, pp. 71-78. H. Hoppe, T. DeRose, T. Duchamp, J. McDonald, and W. Stuetzle, Mesh Optimization, Proceedings of SIGGRAPH 93, pp. 19-26. E. Bier, M. Stone, K. Pier, W. Buxton, and T. DeRose, Tool Glass and Magic Lenses: The See-Through Interface, Proceedings of SIGGRAPH 93, pp. 73-80. M. Halstead, M. Kass, and T. DeRose, Efficient, Fair Interpolation using Catmull-Clark Surfaces, Proceedings of SIGGRAPH 93, pp. 35-44. H. Hoppe, T. DeRose, T. Duchamp, H. Jin, M. Halstead, J. McDonald, J. Schweitzer, and W. Stuetzle, Piecewise Smooth Surface Reconstruction, Proceedings of SIGGRAPH 94, pp. 295-302. M. Eck, T. DeRose, T. Duchamp, H. Hoppe, M. Lounsbery, and W. Stuetzle, Multiresolution Analysis of Arbitrary Meshes, Proceedings of SIGGRAPH 95, pp. 173-182. A. Certain, J. Popovic, T. DeRose, T. Duchamp, D. Salesin, and W. Stuetzle, Interactive Viewing of Multiresolution Surfaces, Proceedings of SIGGRAPH 96, pp. 91-98. J. Shade, D. Lischinski, D. Salesin, T. DeRose, and J. Snyder, High-Performance Hierarchical Image Caching for Accelerated Walkthroughs of Complex Environments. Proceedings of SIGGRAPH 96, pp. 75-82. E. Stollnitz, T. DeRose, and D. Salesin, Wavelets for Computer Graphics: Theory and Applications, Morgan-Kaufmann, 1996. P. Christensen, E. Stollnitz, D. Salesin, and T. DeRose, Global Illumination of Glossy Environments using Wavelets and Importance, ACM Transactions on Graphics, Vol. 15, No. 1, January 1996, pp. 37-71. M. Lounsbery, T. DeRose, and J. Warren, Multiresolution Analysis for Surfaces of Arbitrary Topological Type, ACM Transactions on Graphics, Vol. 16, No. 1, January 1997, pp. 34-73. 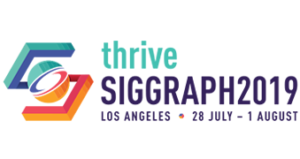 T. DeRose, M. Kass, T. Truong, Subdivision Surfaces in Character Animation, Proceedings of SIGGRAPH 98, pp. 85-94.